The U.S. government helps American private equity, venture capital, and real estate fund managers build relationships and raise capital from the Middle East and elsewhere throughout the world. Since 2013, delegations of fund managers - in partnership with local U.S. Embassies and MENA private sector mission leader Chad Gracia - have visited Riyadh, Kuwait City, Abu Dhabi, and Muscat to meet with local LPs from family offices, pension and sovereign funds, and other institutions. U.S. Ambassadors generally introduce the US delegation to the LPs, and so the long process of trust-building that characterizes the sales process in the region is considerably shortened. Our last trade mission took place in 2017 and ended with cocktails at the US Ambassador's residence in Muscat. Our next mission on October 21-24, 2018 will take a delegation of U.S. managers to the region, where we will meet active LP allocators and be hosted at the U.S. Embassy in Abu Dhabi and Muscat. Introductions will be made to other LPs in Saudi Arabia, Kuwait, Bahrain, Qatar and Dubai. GPs may request to join here. Qualified LPs join for free and may contact Chad Gracia at cgracia@graciagroup.com to request an invitation from the local U.S. Embassy. We are also currently accepting applications for our Virtual Mission. If you are interested in taking part, please either reserve by clicking the link above or if you have questions you may contact Chad Gracia at cgracia@graciagroup.com for more information. A veteran of the United States Air Force and graduate of Central Florida University, BS Finance, Brian’s private sector career began at International Assets Advisory as a Registered Representative (Series 7, 63, 65, & FL-215). After some years at the boutique firm, he joined the US Department of State, Office of Foreign Missions – USUN. Where his focus was diplomacy and national security. 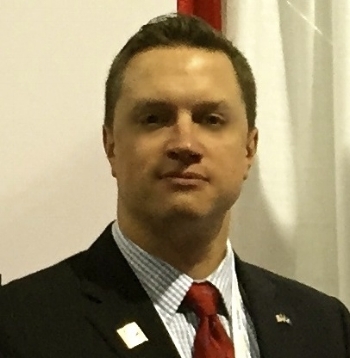 Brian joined the US Commercial Service in September 2013 as a Senior International Trade Specialist for the Northern New Jersey Export Assistance Center. He counsels US businesses that wish to begin exporting or increase their exports throughout the global marketplace. He is the area sector coordinator for financial services and energy to list a few. Lastly, he is the Deputy Team Leader for USCS’s Global Finance Team where he leads the Private Equity/Venture Capital subsector. Former Program manager Randy Mitchell shares with the U.S. investor community the history and goals of these missions, as well as the relationship between the US government and private sector mission organizers. To listen to a comprehensive conference call recorded by the U.S. Commerce Department about this program, click here.